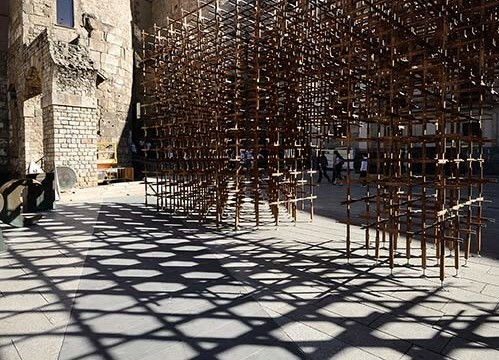 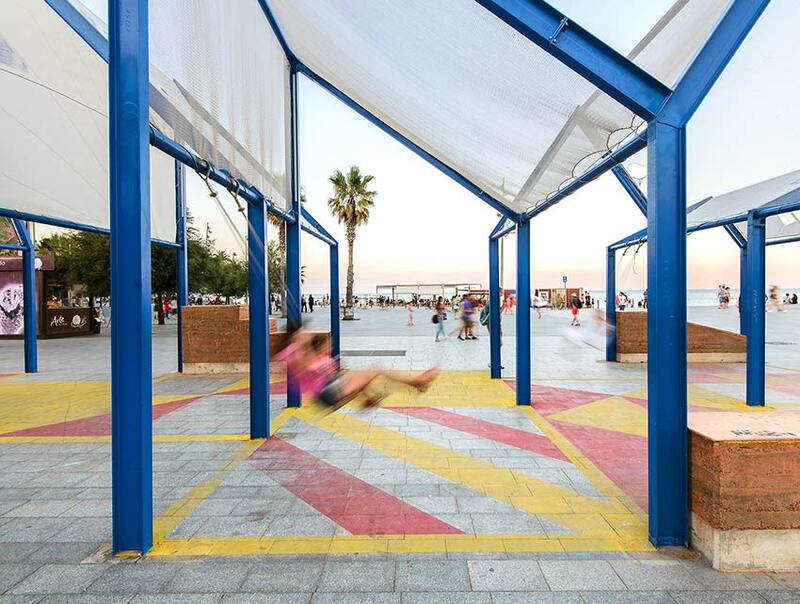 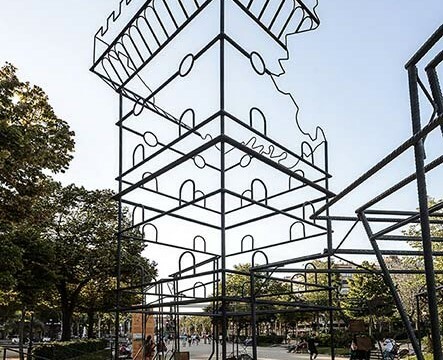 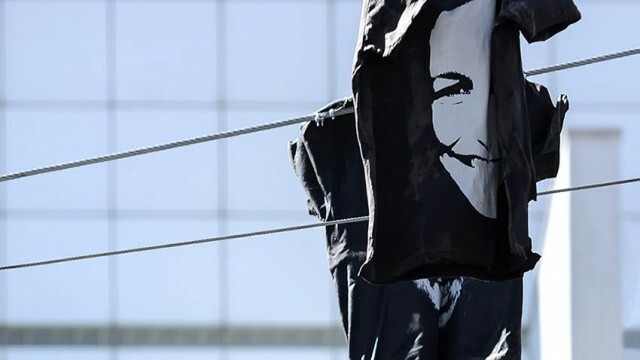 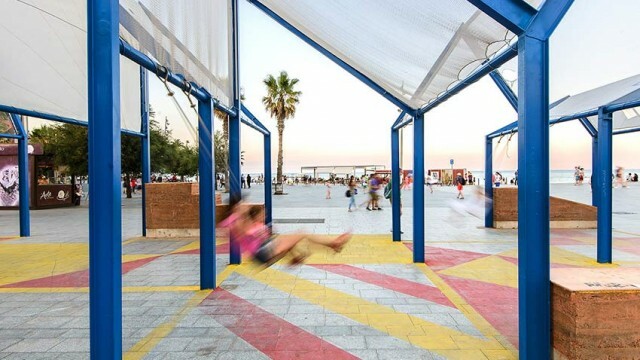 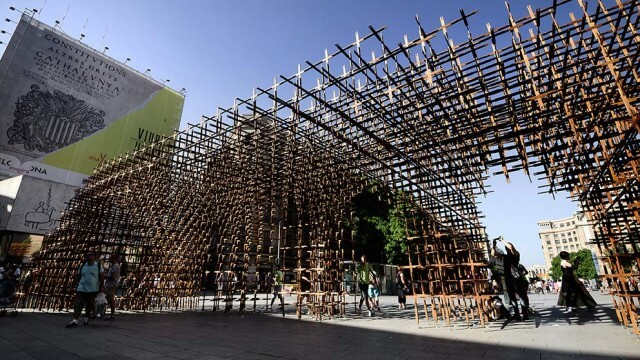 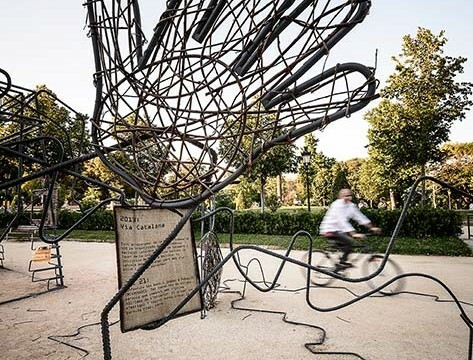 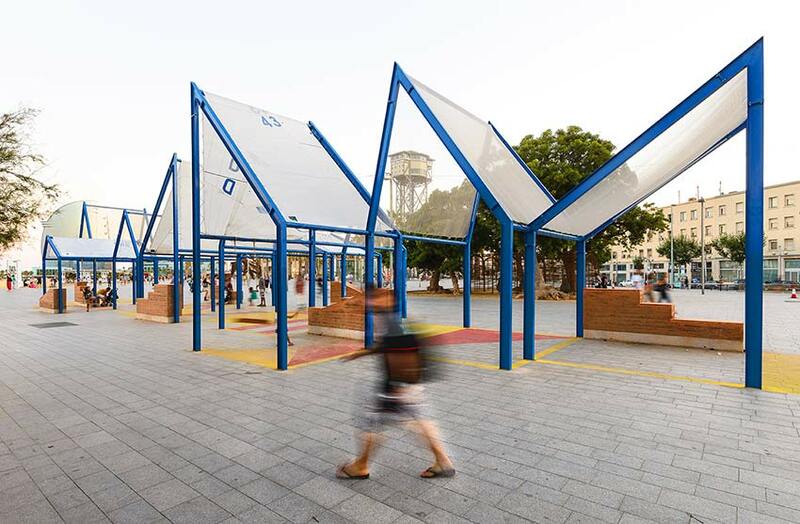 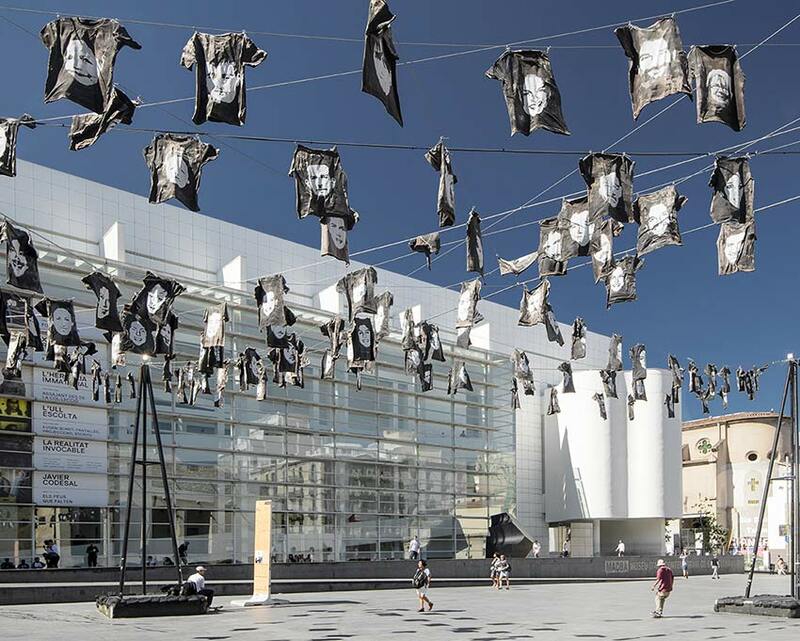 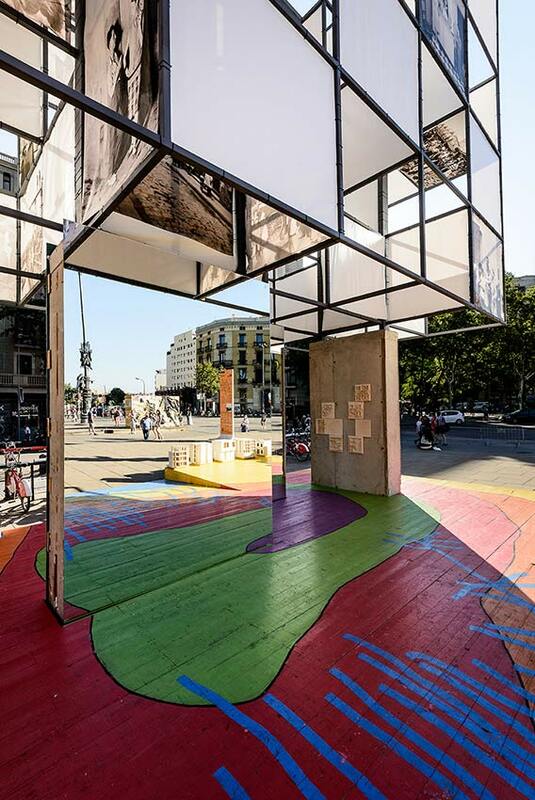 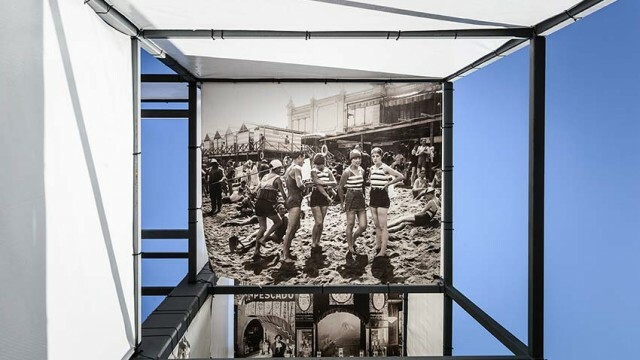 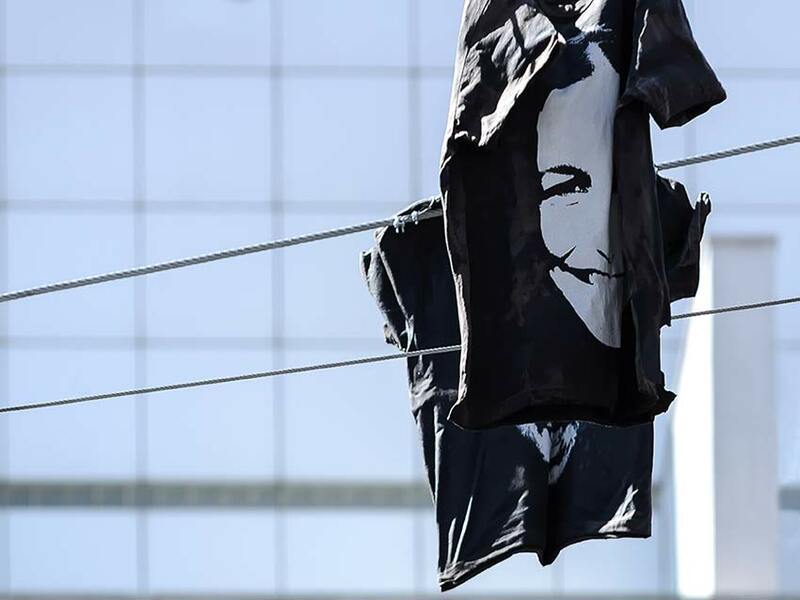 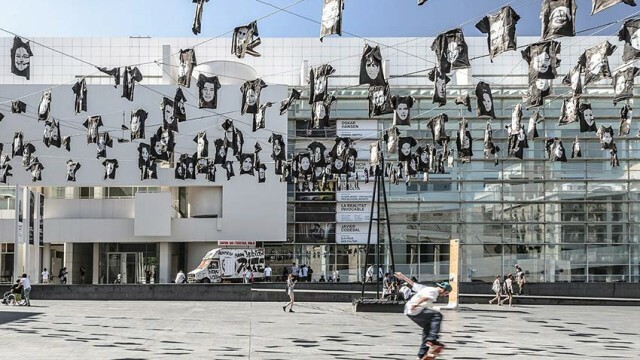 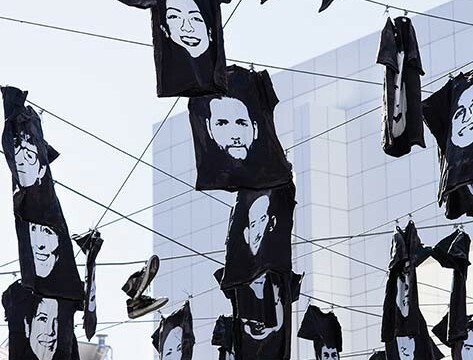 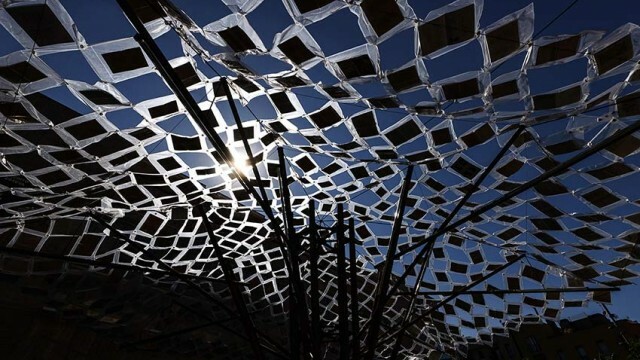 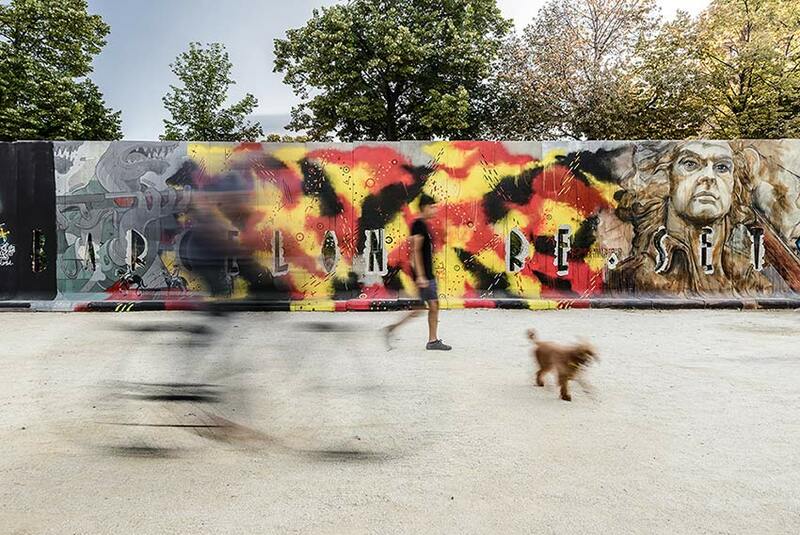 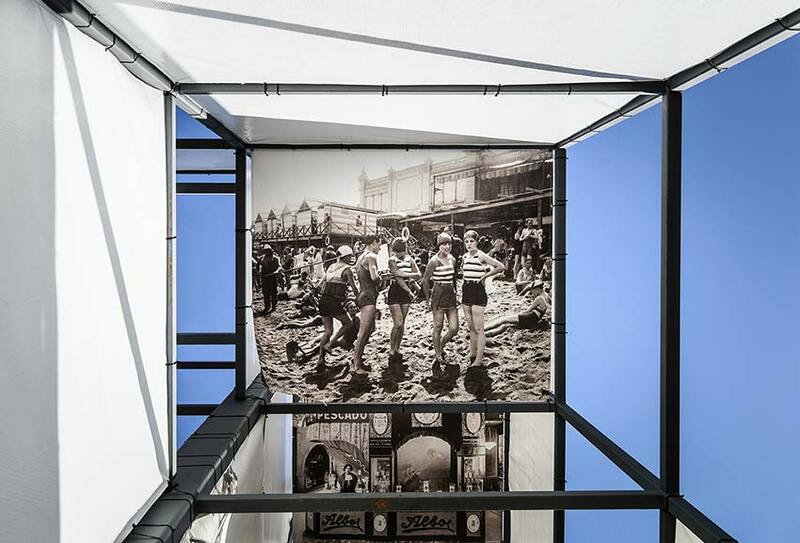 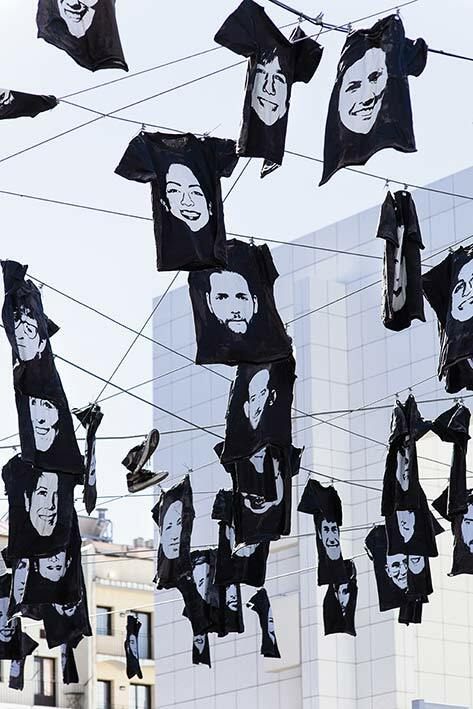 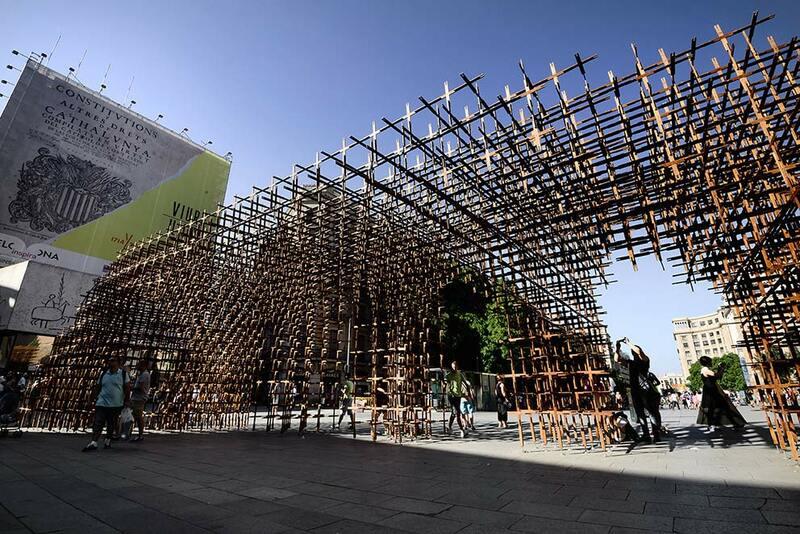 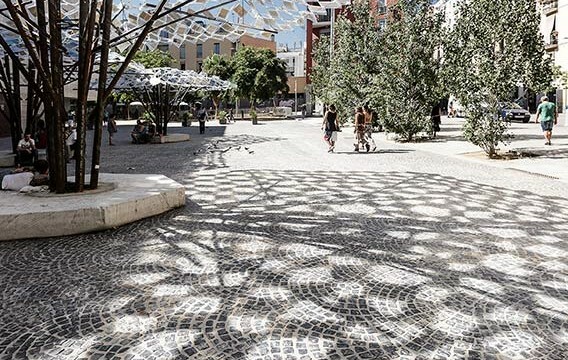 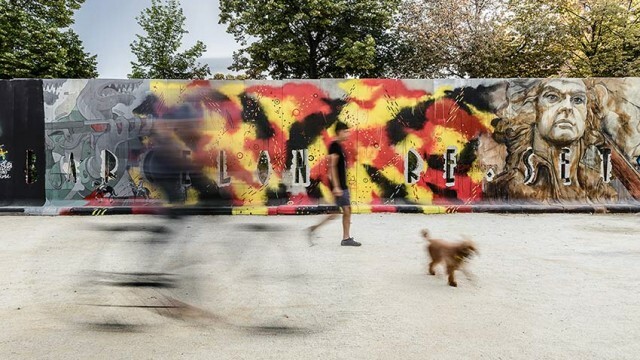 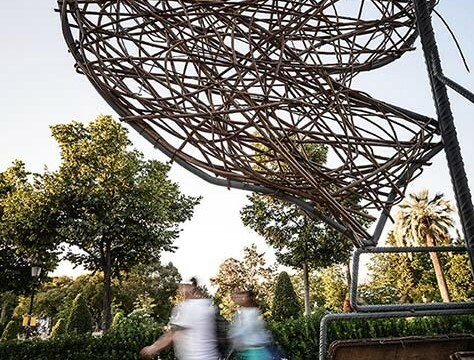 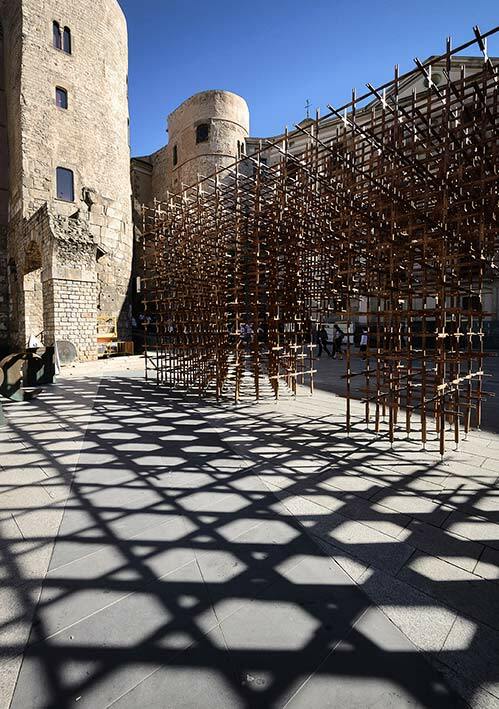 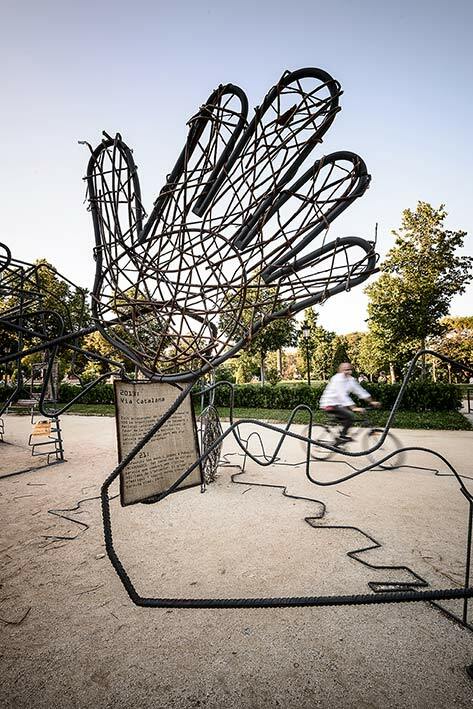 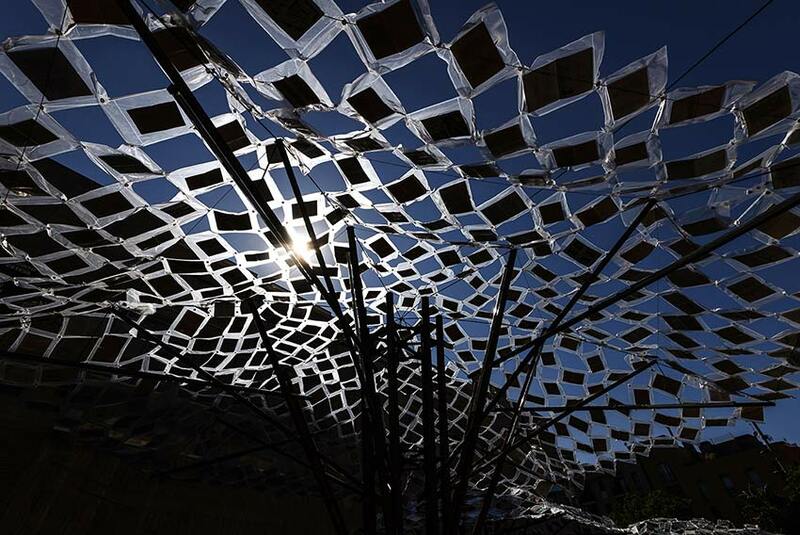 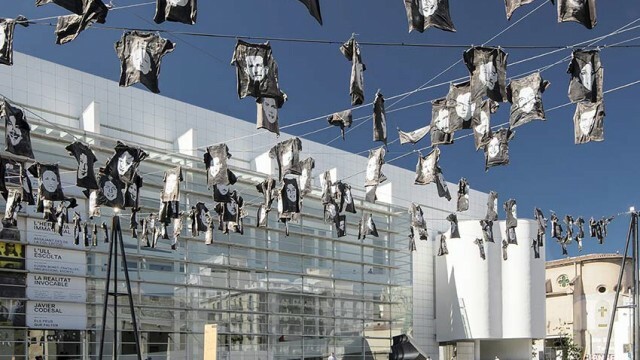 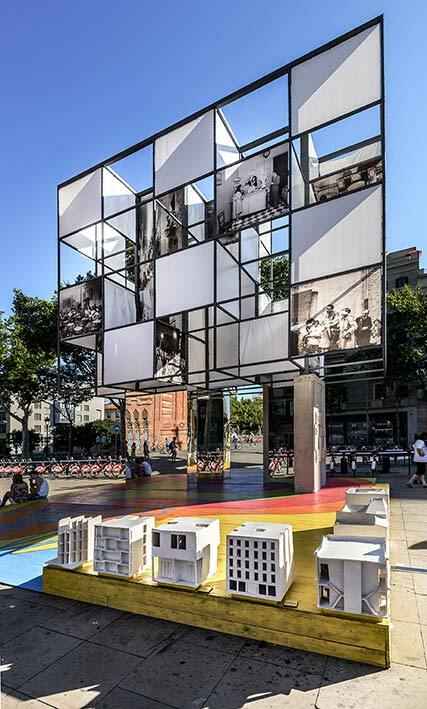 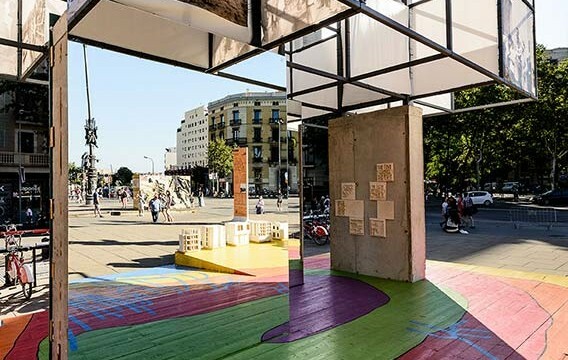 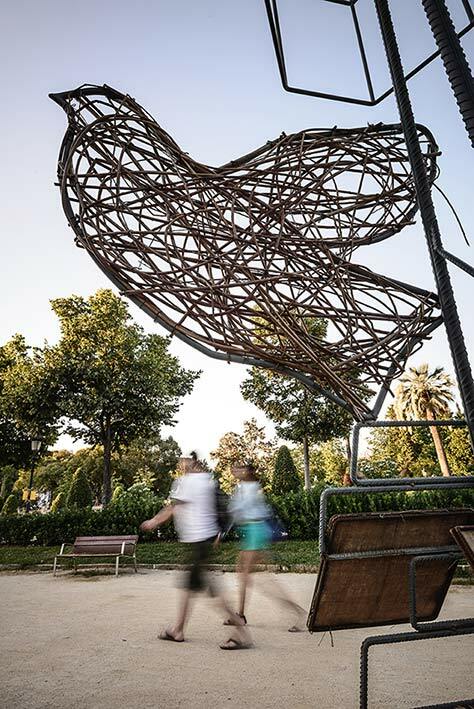 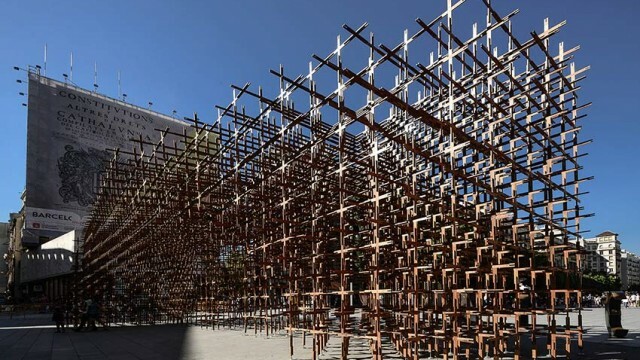 In Aedes Gallery – Berlin there is an exhibition about the work of the Enric Miralles Foundation with the focus on the ephemeral installations of Barcelona RE.SET. 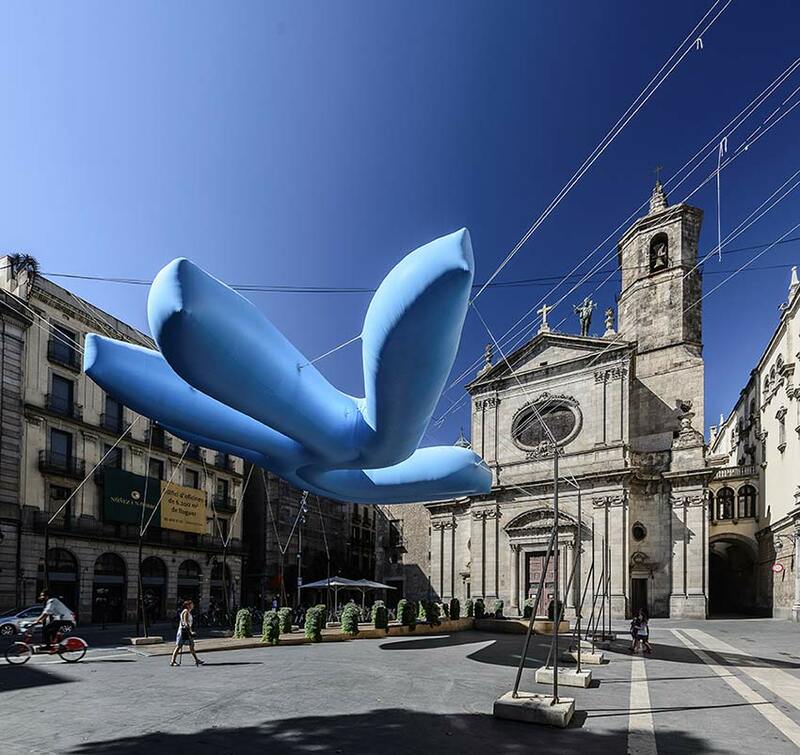 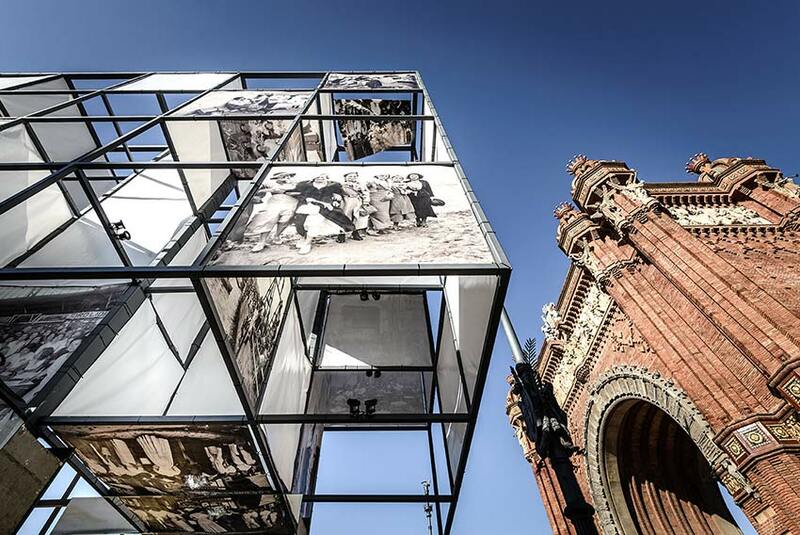 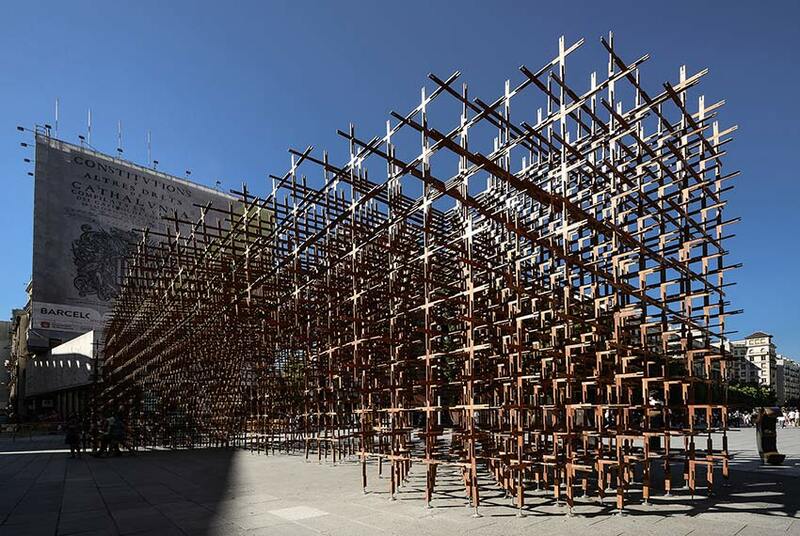 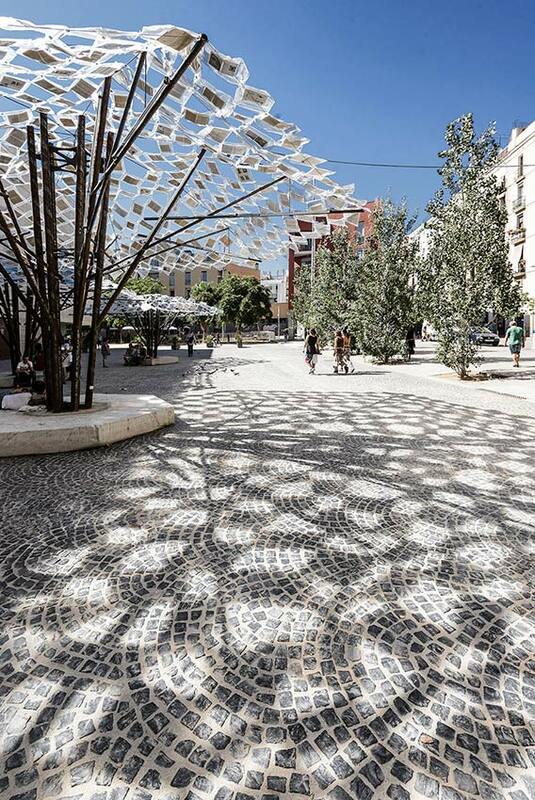 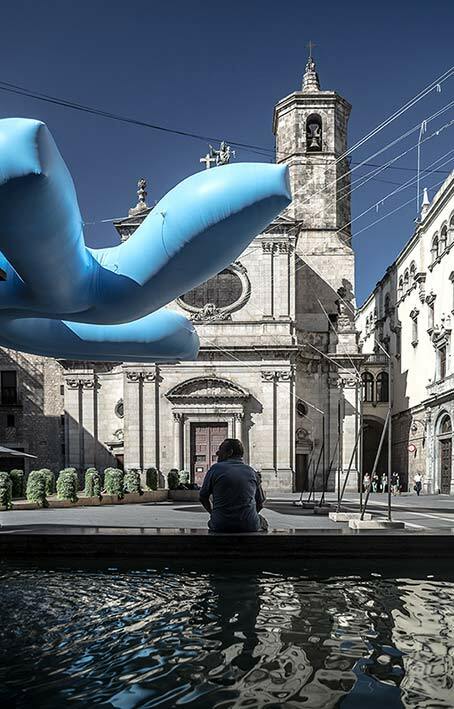 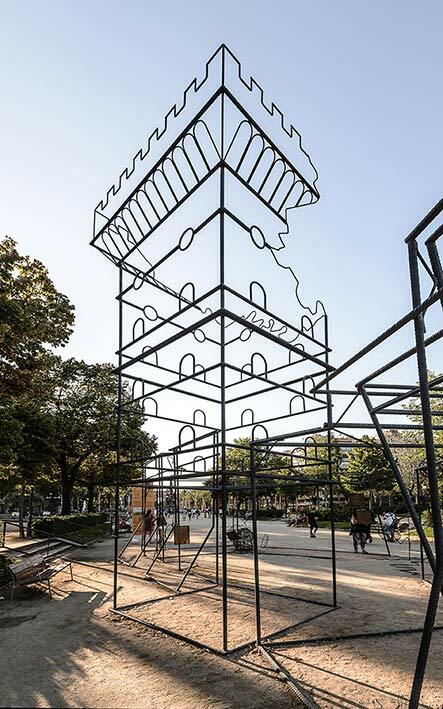 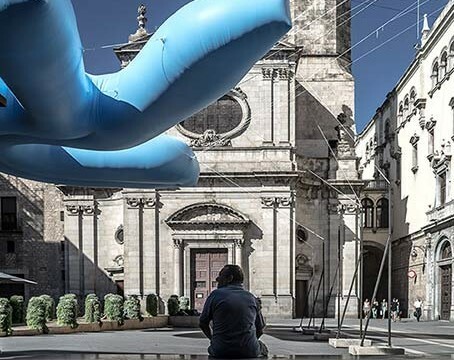 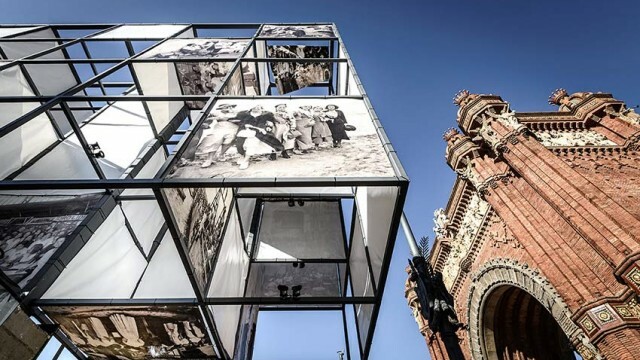 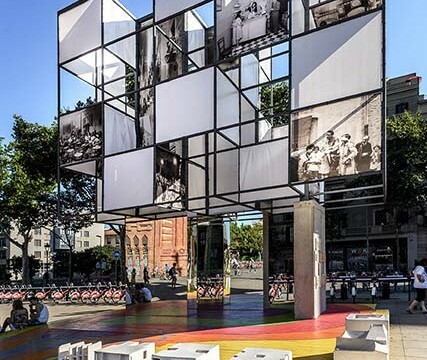 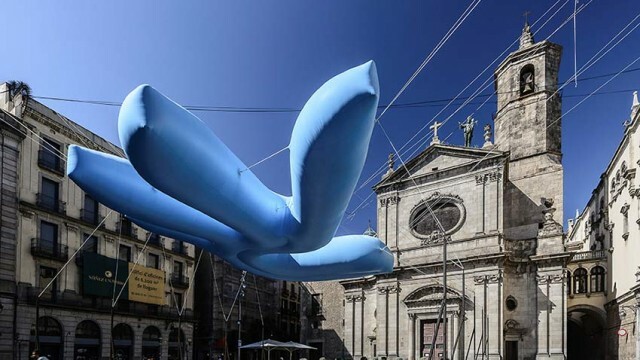 Located in emblematic places of the city, a street circuit part of the tercentenary celebrations of Barcelona during the summer 2014, the project result from the collaboration between Benedetta Tagliabue, Alex Ollé (La Fura dels Baus), and six more international architecture studios: Odile Decq (France), Peter Cook (United Kingdom) & Yael Reisner (Israel), Grafton Architects (Ireland), ETH Zürich & Urban-Think Tank (Switzerland/Venezuela), Anupama Kundoo (India/ Australia) and Urbanus (China), in conjunction with Barcelona’s leading schools of architecture and design. 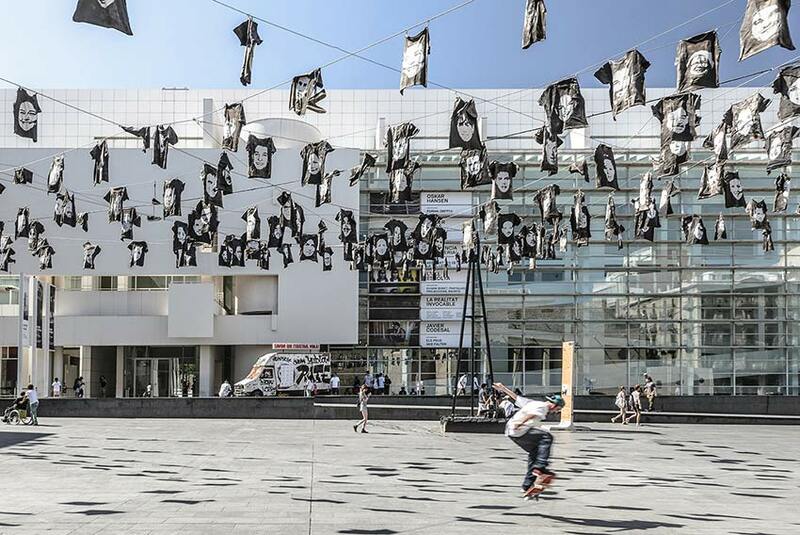 My photos are part of the Berlin exhibition.